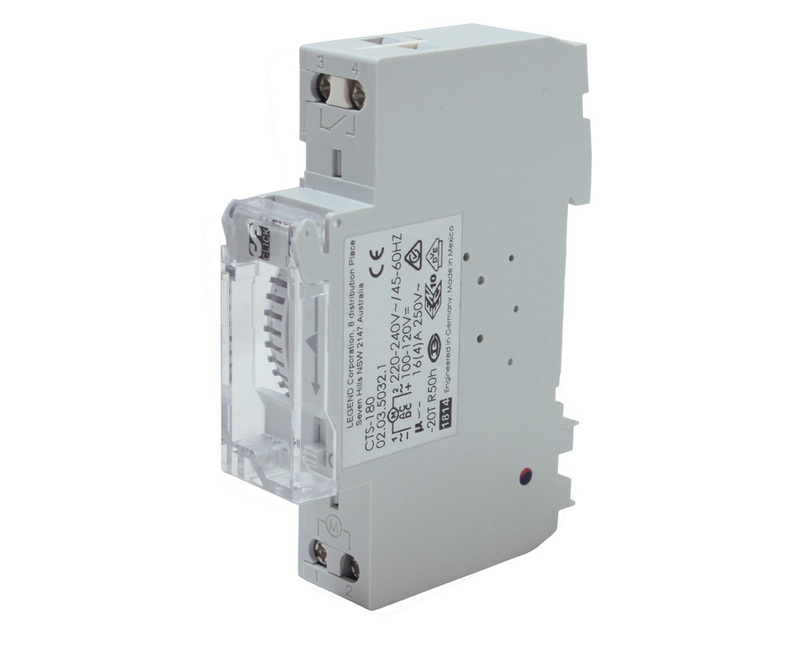 The CTS-180 is a single module analogue time switch designed for DIN-rail mounting. The timer switch is easy to program, features large screw terminals to suit stranded conductor and has a lead-sealable housing for tamper protection. As an additional feature, the device has a battery backup which provides over 50 hours of power reserve. Suitable applications include advertising lighting, shop window lighting, water treatment and pump control.